You’re just one step away from accessing DATA, my powerful AI technology that serves up fast double- and triple-digit gains. In fact, DATA is so powerful, you can see profits of 79%… 108%… 176%… 304%… or even more in as little as 7 days. DATA does this by sorting through more than 3,600 stocks to find the best of the best. Then, it signals when one of these top stocks has an 80-95% opportunity of rising over the next 22 days. All you have to do is watch for my alerts. When a stock is on the rise, I will let you know immediately how to play it – with clear, step-by-step directions. Then, I will let you know when it’s time to exit – and grab your profits. That’s the two-step process I use to deliver my Hi-Tech Trader members consistent winners. So consistent, in fact, that I can promise I’ll deliver 12 money-doubling recommendations in the next 12 months. Join My Hi-Tech Trader Service Today! First, I’ll send your exclusive welcome package (including your introductory email). This will give you everything you need to get started… including my current Hi-Tech Trader recommended portfolio. Second, with Hi-Tech Trader, you get my research and 30 years of experience, PLUS the full benefit of my artificial intelligence system: DATA. Weekly Trade Updates: You get the newest trades identified by DATA, along with my take on why DATA identified that stock as a winner. And you’ll always know what to do with my instructions on how to make both the stock and options trade. Urgent Action Alerts: The market can move quickly, and, when it does, I want to make sure you get every single cent of profit. So, if anything changes between Weekly Updates, I’ll send an urgent email or text alert. That way, you know exactly when to take action. Quarterly Conference Calls on the Market and Economy: It’s my job to keep an eye on world markets and events on the horizon. So, every quarter, I hold a members-only online event to fill you in on the latest news. And, more importantly, I tell you what we can expect in the days and weeks ahead. Access to Hi-Tech Trader Members-Only Website: This is where you’ll find our portfolio and all current recommendations. You also have access to all special reports and recordings of our members-only conference calls. Your Exclusive Report, Options 101: How to Trade Like the Pros: This special report will get you started quickly, even if you’ve never invested in options before. Hi-Tech Trader gives you everything you need to double your money once every month, on average. Normally, Hi-Tech Trader retails for $1,995 a year. I think it would be worth every penny at that price. But, today, you can join this exclusive membership for one full year at just $995. That’s a $1,000 savings! Guarantee #1: You get at least 12 double-your-money trades in your first year of membership. That’s an average of one 100% winner (at least) every 22 trading days. If I don’t deliver, I will give you a second year of Hi-Tech Trader, completely free of charge. Guarantee #2: You get an extra layer of protection. If, at any time during your first year, you are not comfortable with Hi-Tech Trader… just call our Customer Services team. They will help you exchange your membership for any one of my other services that better fits your needs. Guarantee #3: I guarantee your complete satisfaction. If at any time during your first 30 days as a Hi-Tech Trader member, you’re not completely satisfied with the service, just let us know. You’ll get a full refund of your entire membership fee. Become a Hi-Tech Trader member right now by filling the form below. Or, if you prefer, our Customer Services team is happy to help you place your order by phone. 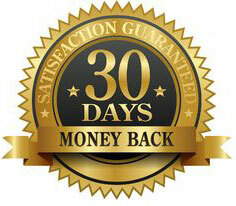 Just call 1-877-728-8999 anytime between 9am to 5pm Eastern, Monday to Friday.